Check out our range of fun deer facts for kids. 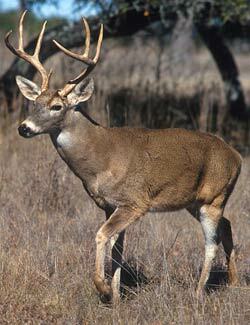 Learn about deer antlers, what a young deer is called and much more. Deer are part of the Cervidae family that include moose, reindeer, elk and other species. Animals such as antelope resemble deer in a number of ways but have horns instead of antlers, the difference being that horns are not grown and replaced like antlers are. A male deer is usually called a ‘buck’. A large male deer is often called ‘stag’. A female deer is usually called a ‘doe’. A young deer is usually called a ‘fawn’. A group of deer is known as a ‘herd’. Deer have long legs typically suited to the environments they live in. They can jump high and swim well. Deer take their first steps within half an hour of their birth.